Ducati and Lamborghini, Italian companies part of Audi AG group, have celebrated a milestone with their joint social project 'Dual Education System Italy' (DESI), which has been created in cooperation with the Volkswagen Workforce Foundation, the Italian Ministry for Teaching, Universities and Research, and the Ministry of Education of the region Emilia Romagna. 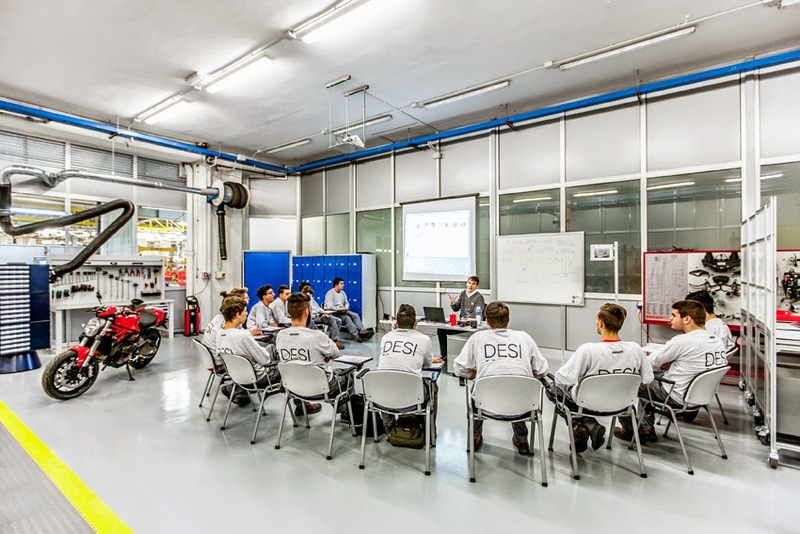 The two companies are enabling young Italians, largely from socially disadvantaged families, to take the next important step of their dual education and training based on the German system. Following the first component of education in a college, the young people are now starting their practical training. For this purpose, Lamborghini and Ducati have set up modern training centers in their plants. "The project teams have made some amazing achievements with the construction of the training center," said Thomas Sigi. "The members of the Audi family have once again shown what is possible in a short time when they work together. Thanks to this commitment, the young people can now experience their desired occupations in practice and can take the next step towards a secure future," Sigi continued. Luca de Meo added, "Lamborghini and Ducati are two strong brands that stand for performance, quality and passion. Both companies also demonstrate these values when they have to build their teams of the future, pass on expertise, and imbue young people with their spirit of success."